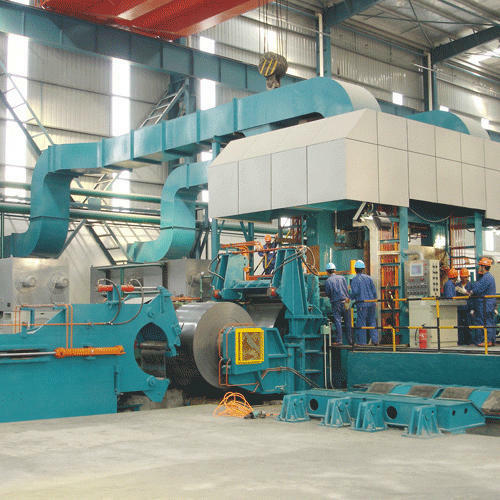 We provide Cold Rolling Mills for Mild Steel that is used specially for manufacturing soft steel widely used in cars, domestic goods, constructional steel, tin cans, wire, plate etc. Mild steel strips and coils produced by the hot rolling mill are covered in black scale, in the cold rolling plant, coil are unrolled and passed along an annealing and pickling line that is a heat and chemical treatment line removing the scale and changing the steel surface from dull black to silvery grey. The mild steel is then rolled to its desired thickness. Our company offers supreme range of Cold Rolling Mills for Metals & Alloys used in manufacturing various forms of metal such as steel, aluminum, copper, brass strip etc. 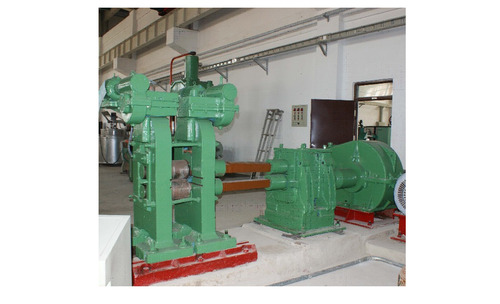 This machine assists us in producing superlative range of industrial brass and copper products. Through cold rolling mills we get the strips which are produced with tightest tolerances and at highest productivity levels, for carbon, stainless and special steel grades. The sheets are rolled by passing them through a cold reduction process on a reversing mil under high tension and pressure. Use of quality stainless steel.